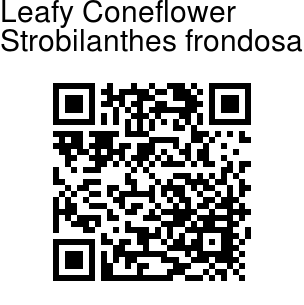 Leafy Coneflower is a rare plant found in NE India. Authoritative sources believe that this picture is the first ever picture taken of the actually growing plant. Leafy Coneflower is a distinctive species of the Sympagis Group to which it belongs. It has coarsely toothed leaves. Pale blue flowers are borne in spikes which ar head-like in form. The inflorescence, stem and leaves are covered with long, glandular, white hairs. The bracts bear a single shoulder-like marginal tooth on each side. Leafy Coneflower is relatively widespread but scattered, being known from isolated localities in Bhutan, the Naga Hills of NE India and the Chin Hills of Burma. 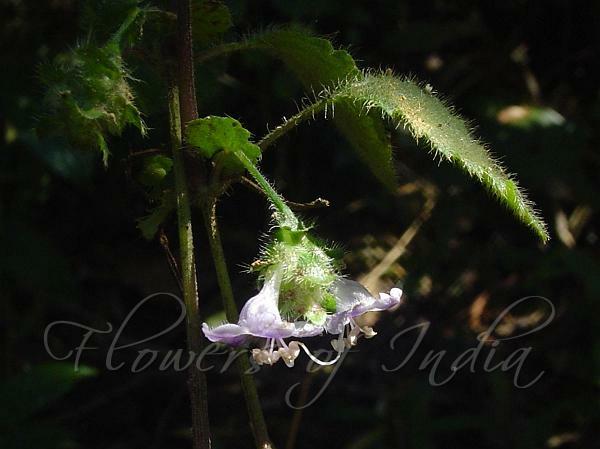 This species Strobilanthes frondosa was first named only as recently as 1994. Found Flowering: November. Identification credit: John Wood Photographed in Mizoram.